For a long time since their release iOS devices such as the iPhone (iPhone 8) have long been the rage. Everyone wanted one. But recently android devices have rivaled this superiority. It is now clear that Android devices can be just as good if not better than iOS devices. As a matter of fact, there are some high-end Android devices that give the iPhone a run for its money when it comes to performance, design and even the general functionality of the device. For these reasons, it is not uncommon to find that some people either want to switch from using iOS (iOS 11) device to begin using Android devices or even want to have both. This creates a situation where you have to move data between these devices. The problem is that because of the differences in the Operating system, data transfer from iOS to Android is not easy. In most cases it is tedious and time consuming, taking up time that would have been better spent on other more important pursuits. In this article we will look how you can transfer data form an iOS device to an Android device, the easy way. There is no feasible way to transfer apps from your iOS device to an Android device. The main reason for this is because apps for an iOS device are written in a different language and therefore may not be able to "communicate" if you will with the Android OS. For this reason, even if there was a way to transfer the apps, they would fail to work on the Android device. The only way to get the apps you have been using on your iOS device on your Android is to download the Android version of these apps from the Google Play Store. Most of the major apps will have an Android and iOS version. If you don't find a particular app on the Play Store, try finding a great alternative to that app. The beauty of an Android system is that there are so many options, in terms of apps to choose from. Again, you cannot transfer the app itself from iOS to Android. To use WhatsApp on your Android device, you have to download the Android version of the app. 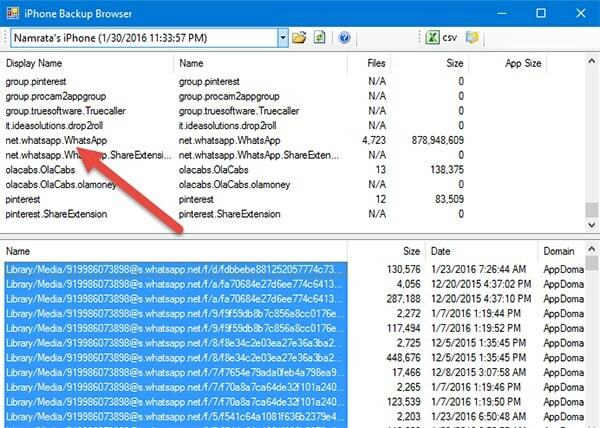 You can however, transfer WhatsApp data and such as the chat history and attachments to your Android device. The following is a step by step guide on how you can do this. Note that we will be using iPhone Backup Browser and an Android application to do this. Step 1. Begin by creating a complete Backup of the iOS device in iTunes and make sure that the Backup is not encrypted. Download iPhone Backup Browser and then open the program. Now load the backup file you created. Step 2. Now, click on the (-) sign and then extract the file named "ChatStorage.sqlite" to a folder. 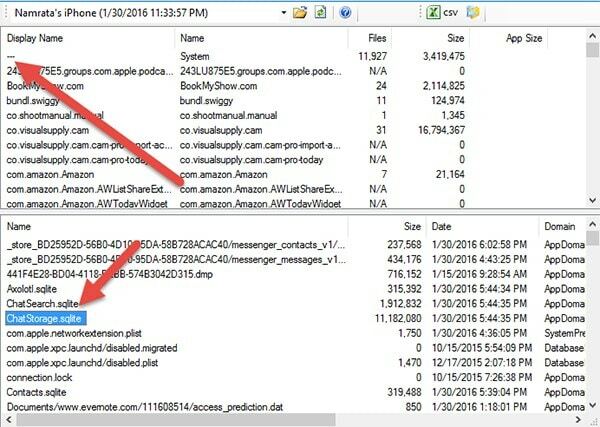 This is the file that contains the backup of all your WhatsApp conversations. If you want to extract the backup containing the media look for the "net.whatsapp.WhatsApp" and then select everything under Library/Media section. Step 3. Once all of these files are extracted, transfer them to the Android device. Just connect the device to the computer using USB cables and then drag and drop them. Step 4. 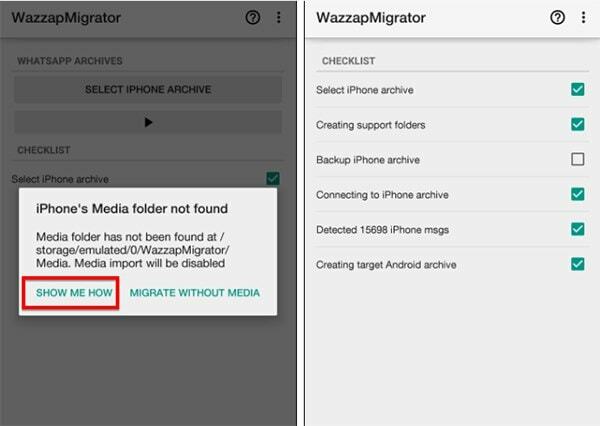 Now head on over to the Google Play Store and install "Wazzapmigrator" app on your Android. The app is available for free but there is a pro version ($2.99) which is much faster and will extract the media files as well as the text chat messages. Step 5. When you launch the app on the Android device, it will automatically detect the database but you will need to browse for the media folder. Just tap on "SHOW ME HOW". Step 6. Now all you have to do is tap on the "Play" button and wait for the app to create a WhatsApp backup file that can be read by the Android device. 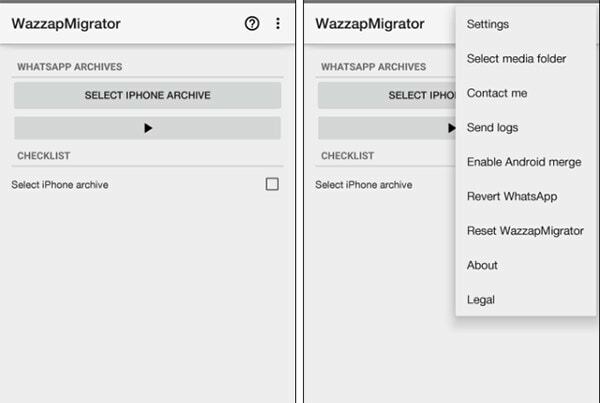 When you install WhatsApp for Android, just restore the local data when verifying your phone number and you will have successfully moved WhatsApp data from iOS to Android. Your notes are probably very important and you don't want to leave them behind when you migrate to Android. Transferring your notes is not as hard as transferring app data such like what we've done in part 1 above. Step 1. 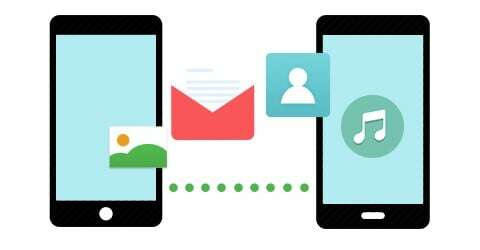 On your Android device, you need to set up the Google Account we are going to use to sync the notes to your device. 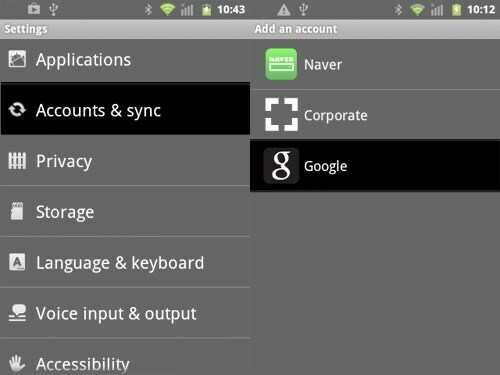 To do this launch the Settings app on your Android device and then go to Accounts & Sync > Add Account > Google. If you don't already have a Google Account, create one and then follow the on-screen instructions to associate the Gmail account with the Android device. Step 2. 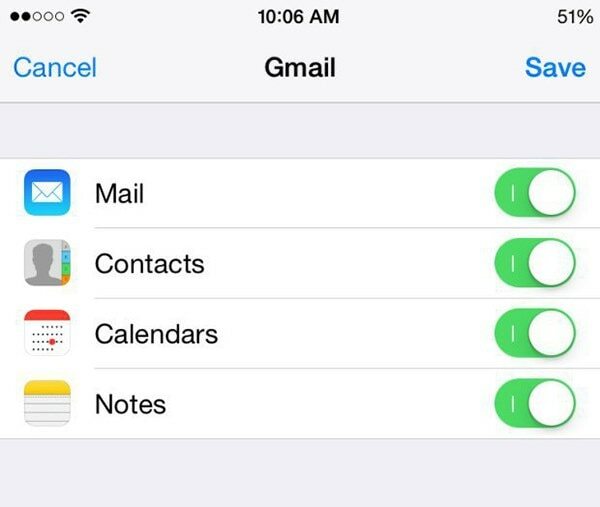 Now on your iOS device go to Settings > Mail, Contacts, Calendars. If the same Gmail account you are using on the Android device is not here, add it. Step 3. Now go back to Mail, Contacts, Calendars and then Tap on that Gmail account and then turn on syncing for Calendars and Notes. The Notes will be available on your Android device within minutes. You can also do this with contacts. Porting iOS to Android is commonly what is done when you have an application for iOS and want the same app to be able to run on Android. Therefore, you may only need to do this if you are an app developer and want your iOS app to reach Android users in the market. That said, porting iOS to Android is an involving process that should only be done by a developer who understands the risks and the requirements. There are lots of reasons why a developer would want to port an iOS app to Android. The biggest reason would be a bigger market of course. If a company has determined that they would make bigger profits by tapping into the 80% of the Global Market that Android so tightly controls, porting might be good plan. Android apps are also much more flexible in terms of unique features as compared to iOS apps. So if you want to take your Application to the next level, you may want to consider porting the iOS app to Android. It is worth noting that this process should only be undertaken by those who have the relevant extensive experience to accomplish it. But if you are just a device owner wondering how you can switch apps and data from your iOS device to your Android device, it is best to stick with the basics. We've already seen that you can't transfer apps from iOS to Android, you would have to download the Android version of the app. But as we have already seen, you can transfer app data from iOS devices to Android devices. 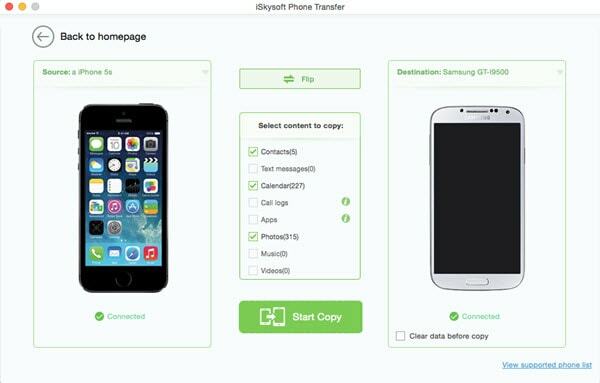 There are multiple ways that you can use to transfer data from an iOS (iOS 10) enabled device to an Android enabled device, but one of the most trusted one is using iSkysoft Phone Transfer for Mac ( or iSkysoft Phone Transfer for Windows).This is an easy solution for transferring any form of data including text messages, videos, photos, contacts, apps from iOS to Android within a single click. If you switch or upgrade to a new phone and find that it is using Android operating system, you do not have to worry about a thing. With this mobile phone transfer tool, you can transfer everything that you had on your former iOS device to the new Android device without any loss. The transferred data will be 100 percent the same as the original data. It is really easy to use. All you have to do is connect the devices to the computer and in one click transfer the files. 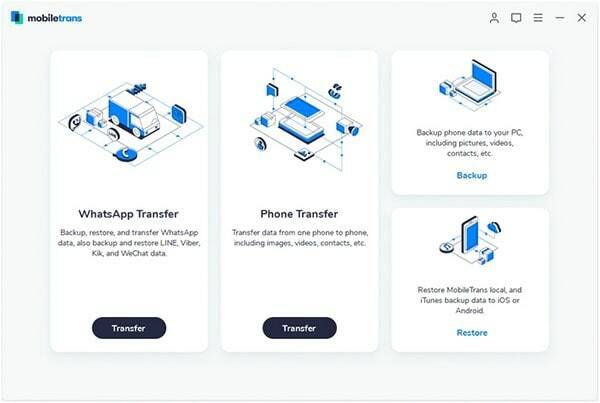 It can be used to transfer all types of data between devices including music, photos, videos, documents, messages, call logs and even contacts and many more. It is also very useful tool when it comes to backing up and even restoring the data on your device. The program is compatible with almost all Android devices and all iOS (iOS 10) devices. If you haven't already, download and install iSkysoft Phone Transfer for Mac to your Mac. Launch the program and you should see the following windows with a number of options. After that, you will need to connect the two devices to your Mac using USB cables. The computer will start scanning them when they are successfully connected and then show you information that has details on what to copy from your iOS device to your Android device. You will need to choose what you want to transfer. 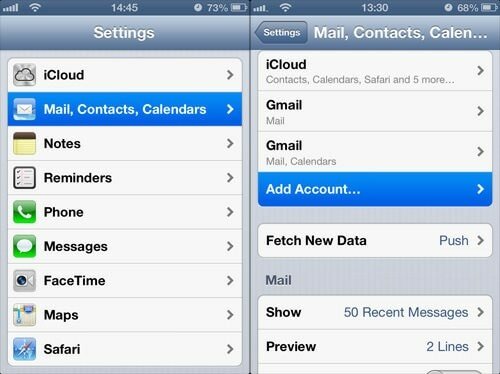 The options include contacts, text messages, calendar, call logs, music, photos, apps, videos and more. You will also need to specify whether you would like to clear data from your iOS device after the transfer is complete. Once you have done all that, you can click on "Start Copy", and then wait until the transfer is complete. It enables you to back up mobile data to your computer safely and securely. In the event that you lose your contacts, music, photos, videos and other data from your phone, you can easily retrieve it from wherever you saved it on your computer and transfer it back to your phone. 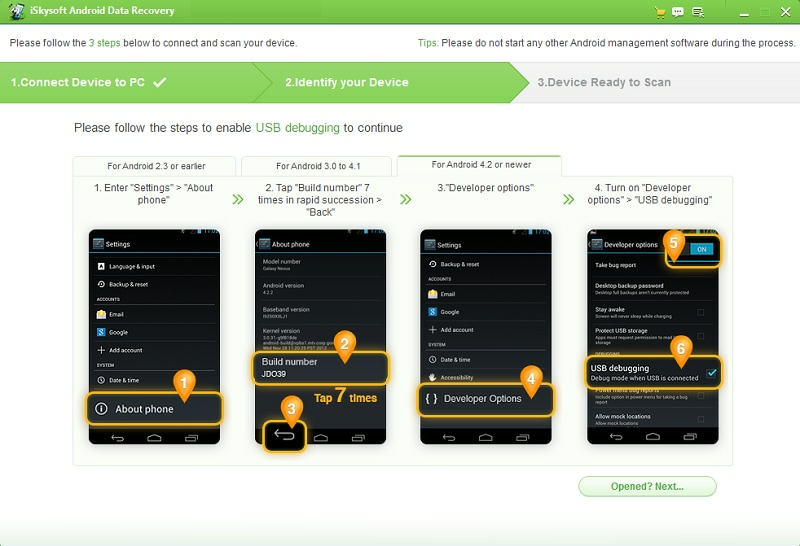 You can use this mobile tool to restore backups to your new gadget with absolute ease. It supports restoration of data from multiple backup modes including iCloud backup, iTunes backup, BlackBerry backup, Samsung Kies backup and phone transfer backup. If you transfer data to a new phone and you want to remove all of it from your old phone, you do not have to worry. 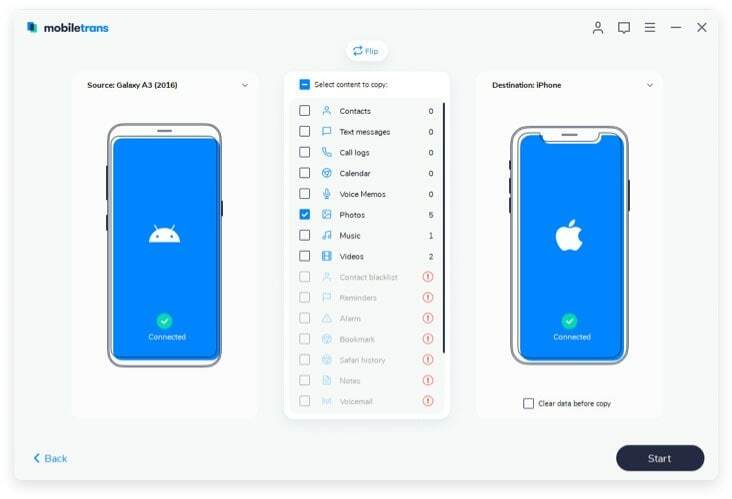 iSkysoft Phone Transfer allows you to deeply scan and erase everything from your old phone, including personal information, videos, photos, apps, contacts, system settings and more. Using this mobile transfer tool, you can transfer music and playlists from iTunes to your Android phone with absolute ease. You can also use it to retrieve iTunes backup and transfer photos, videos, music, messages, contacts and other data to your phone.